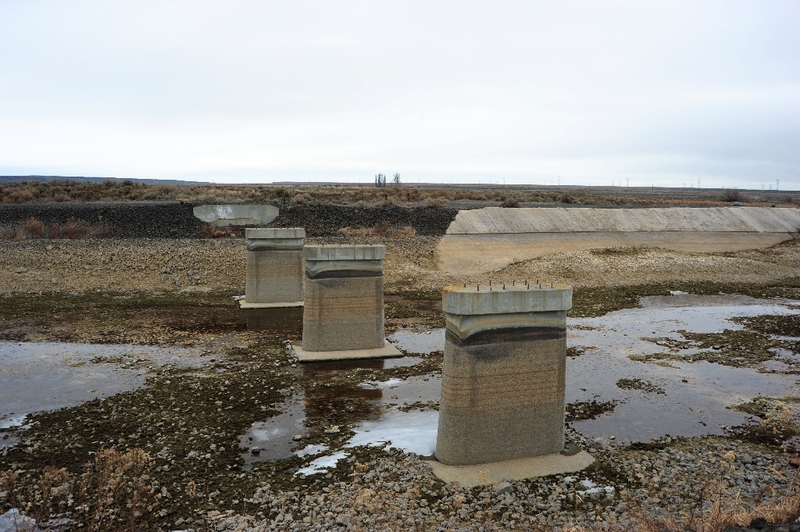 On the Adrian Cut-Off south of Coulee City. 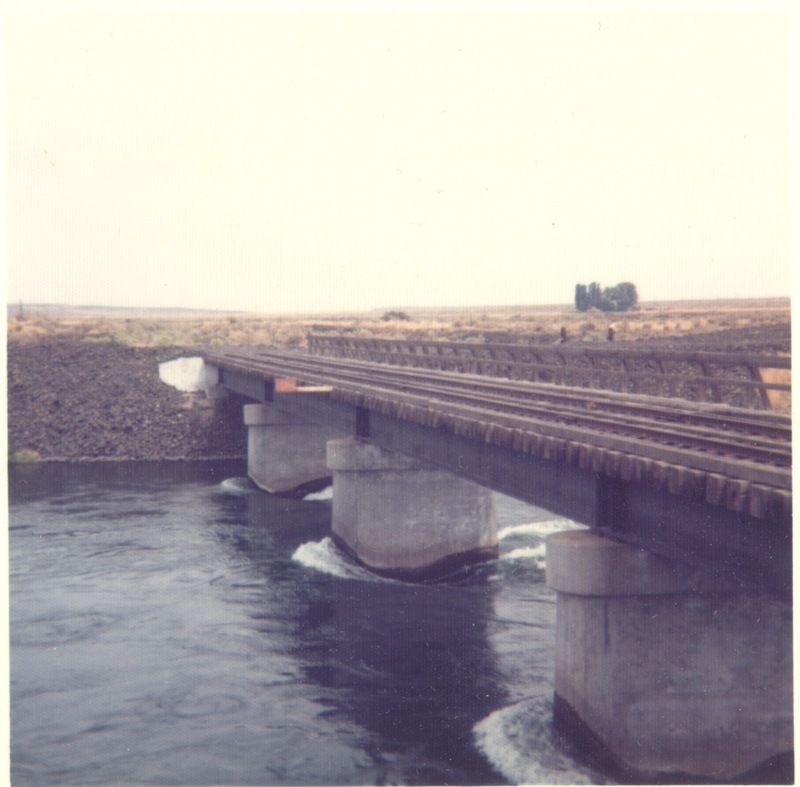 Bridge 114 is 191 feet beyond milepost 114, and was built as a result of the construction for the Main Canal for the Columbia Basin Federal Reclamation Project in 1947. 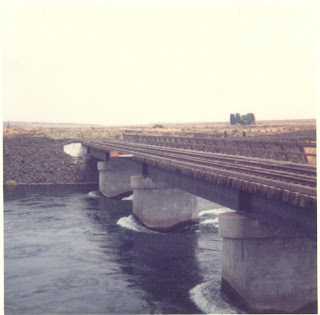 The before photo, taken by my late uncle, show the bridge just prior to removal in 1979. The after photo was taken on Febrary 18, 2013.